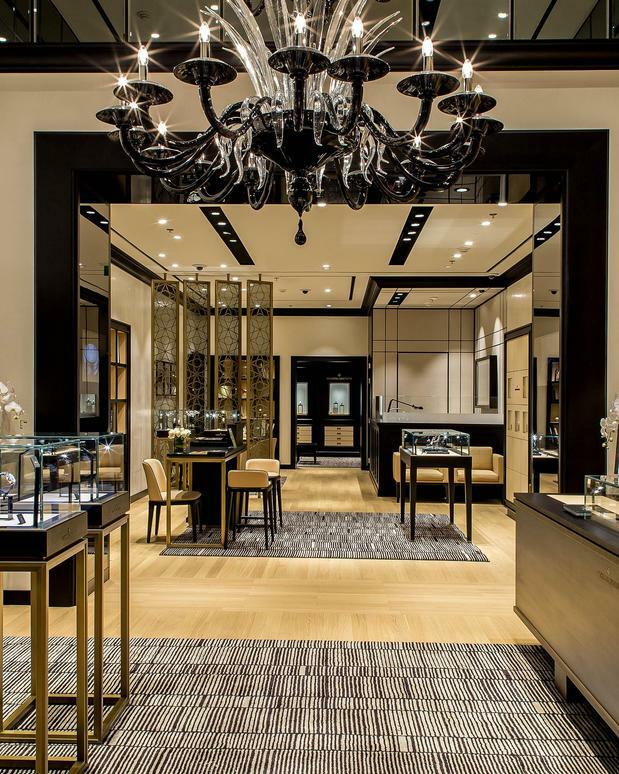 The Vacheron Constantin boutique, located among a terrace-style row of boutiques, at the exclusive Palazzo Hotel, Resort & Casino, exemplifies luxury and sophistication. A perfect blend of aesthetics and comfort, the boutique is a welcoming space of 380 square feet that radiates an air of luxury and warmth to suit the tastes of its discerning clientele. Echoing the precision found in its collections, boutique visitors are drawn into a world of noble, textured materials such as leather, wood and bronze. The interior design of this luxurious location incorporates contemporary elements into a traditional design through an architectural perspective that further contributes to a sense of refinement, continuity and creativity.